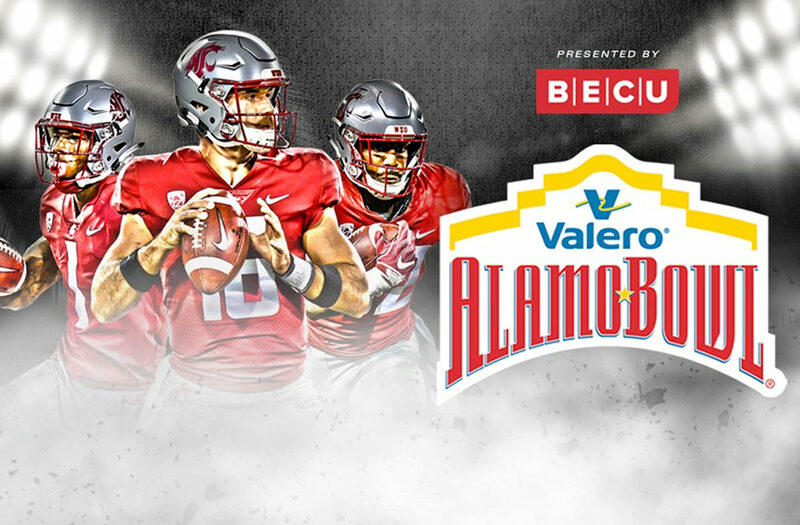 The Cougar football team will face off against the Iowa State Cyclones in the Valero Alamo Bowl this month, marking Washington State’s fourth‑straight bowl appearance and a chance to pickup the program’s first 11‑win season. Kickoff is set for 6 p.m. Pacific Time Friday, Dec. 28, in San Antonio, Texas. The game will be televised nationally on ESPN. The team accepted the bowl invitation on Sunday. Washington State leads the nation in passing yardage, finished the regular season at 10‑2 and was ranked No. 13 in the College Football Playoff rankings. Iowa State finished the regular season with an 8‑4 record, including a 6‑3 mark in Big 12 Conference play, and was No. 24 in the playoff rankings. Previously WSU has played in the Rose Bowl (1916, 1931, 1998, 2003), the Holiday Bowl (1981, 2003, 2016, 2017), the Aloha Bowl (1988), the Copper Bowl (1992), the Alamo Bowl (1994), the Sun Bowl (2001, 2015) and the 2013 New Mexico Bowl. The Cougars are 7‑7 in bowl games all time. Information about game tickets, travel packages through the WSU Alumni Association and more can be found at WSU’s Bowl Central website.